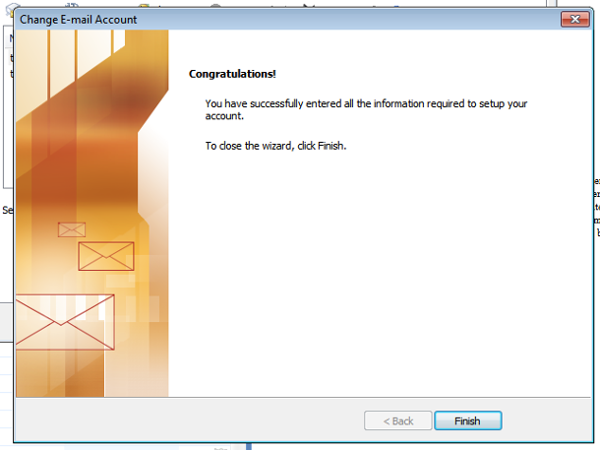 Click 'Finish' to Close the 'Change E-mail Account' window. 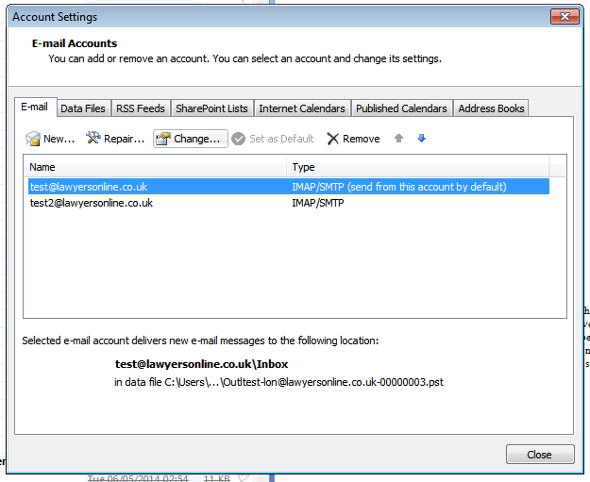 Click 'Close' to exit from the 'Account Settings' window. 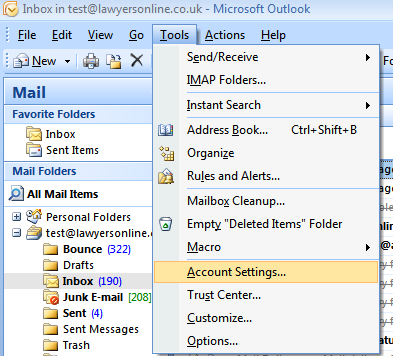 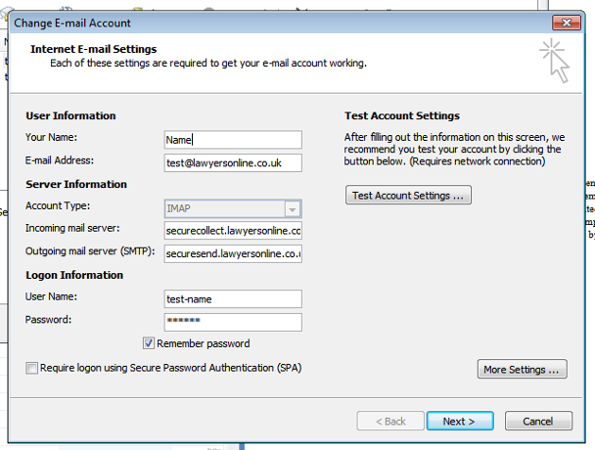 After you have followed these steps your computer will have the correct settings for your Lawyers Online email facility.